I learned early on in my sales career the importance of an effective voicemail after leaving countless messages that didn’t receive a callback. The voicemail is your opportunity to touch base on a more personal level with a client. While the quantity of replies might be lower, the quality of responses will be higher (If you’re noticing a recurring theme of lower quantity, but higher quality in our posts, that’s not an accident – it’s a consistent phrase across many aspects of today’s sales world). But what are the best practices of voicemail messages that I’ve learned through the years? Keep on reading to find out. Yes, you actually have to leave a voicemail. RingLead reports 80% of calls go to voicemail. By those numbers, if you’re relying on the 20% that connect with a person, your conversion rates are going to look ghastly, to say nothing of the shockingly low numbers of qualified leads or leads to opportunities you’re going to have. Yes, we’re repeating ourselves here. But it’s that important a point to make. Make your opening an unexpected one rather than the standard name and company. On the face of it, this might seem counterintuitive. Isn’t it natural to state your name and company as the opener? No. It’s commonplace. So expected, in fact, that it will get your voicemail binned without listening. The reason why is because when customers hear someone say their name and employer, they automatically know this is going to be a sales rep and thus, probably not worth their time. Notice how the opening references your research on the company and points to a specific pain point of the customer. The second sentence provides value – reducing inventory costs, which is always of interest to a member of the procurement team (such as a purchasing agent) – particularly in tight financial times, such as a drop in revenue. Joe is much more likely to listen to the rest of your voicemail now. Use a normal, calm tone of voice. While sales reps are often advised to be enthusiastic and generate excitement, that doesn’t work very well in a voicemail. It comes off as forced, artificial, and as an obvious selling ploy. Furthermore, the higher pitch is sometimes grating to a recipient’s ears. The other problem is that it results in a faster rate of speech -- which, if you’re relaying important information (such as how to contact you), means the customer might have to play your message more than once to grasp everything. The odds of that happening aren’t likely. In most cases, you get one shot and one listen. Instead, use your normal conversational voice. This will naturally slow down your rate of speech and make you more easily understood. One caveat to the enthusiasm ban: If your usual speaking voice makes you sound as gloomy as Eeyore, try smiling as you leave the voicemail. It’ll lift the brightness of your tone without going overboard. 30 seconds or less. 20 seconds or less is perfect. Ever get those voicemails that ramble on for a minute or two? They seem to take an eternity to listen to, and on phones that transcribe voicemails, the transcription presents a giant wall of text. It’s another fast track to Deletion Road. The maximum message length is 30 seconds. If you can pare it down to 20 seconds or less, that’s even better. You’ll have to be succinct to get in the required information while still maintaining a slower, easier to understand voice with that time limit, but such is the path to effective voicemails. Consider also following up with a short, action-oriented email. A good strategy to use as a two-pronged approach is to also follow up with an email that offers two days and times for a future conversation. That not only provides two contacts, the message and reasoning is different for the voicemail and the email. Too often, we see sales reps give the same content in both voicemail and email. That’s an unnecessary duplication that runs the risk of irritating the customer. Instead, use the email as a next steps advancement from the voicemail. Using our earlier example, you’ve left a voicemail for Joe (we’ll get to a full sample message in a bit), and follow up with an email that could look something like this. As per my voicemail, I’m following up to schedule a time to talk about how Fabulous Fabrics can reduce inventory costs for Larry’s Linens. I have 9:30 am on Wednesday and 2:00 pm on Thursday available. Please let me know which time is best for you. Don't close with a sales or begging call for action. In this milieu are closes like “Please contact me at your earliest opportunity” and “I’ll check back in a week.” This reeks of desperation and can annoy your customer, who prefers to respond to you on their own terms. Instead, this is where you introduce your name, company, and phone number – with a repetition. Relevant research + interest hook + email follow-up + contact info repeat close = winning voicemail message. 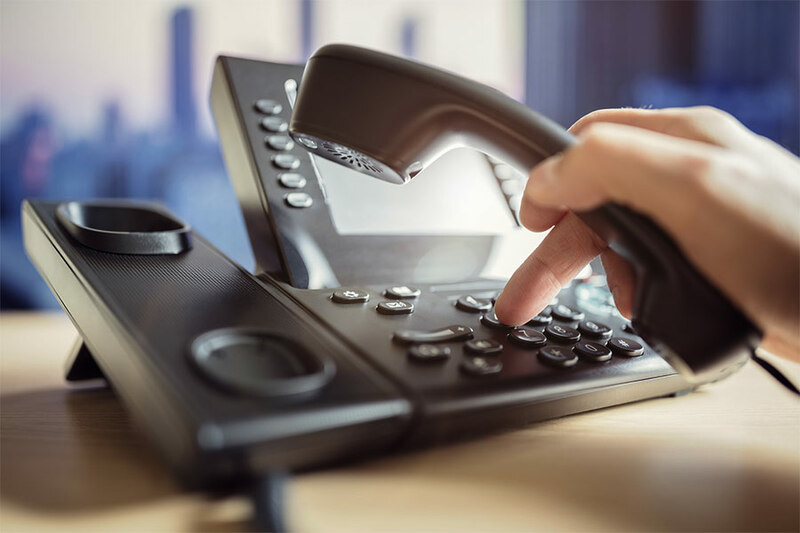 Considering most business calls these days go to voicemail, it’s important to not only leave messages, but communication that furthers the sales process. Used appropriately, rather than be missed contacts, voicemails can serve as an additional sales tool in the selling arsenal.